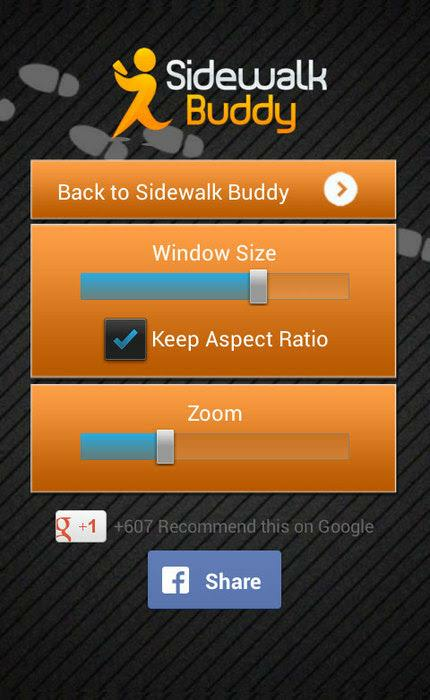 Sidewalk Buddy is a free app that will allowyou to safely use your other apps with a clean and resizable pop-upwhich shows a live video feed from your rear facing camera as youwalk and type. Texting and walking safety issues are gone! Navigatebusy streets with ease, get more work done and be able tomulti-task with safety in mind. Unlike transparent screen basedapps, this app provides a clean separation between the video andthe app you are using without getting too busy. This app is forentertainment purposes only. 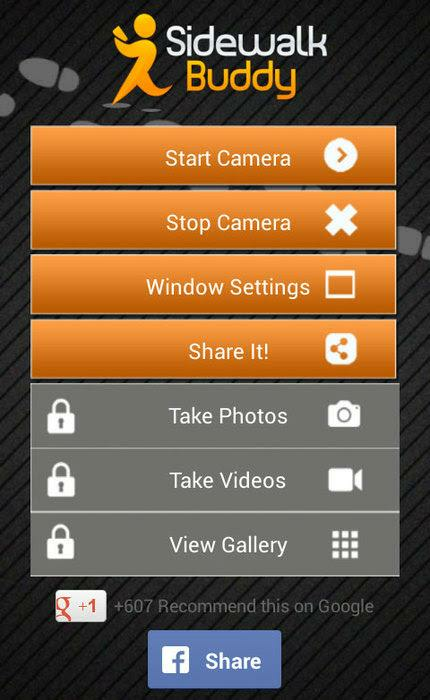 VIDEO AND PHOTO RECORDING ARE AVAILABLE WITH IN-APP PURCHASEONLY. "It handles the problem better than similar apps that overlay videofeeds in a full-screen transparency layer." "Sidewalk Buddy is a new app that tries to make the world saferfor distracted pedestrians, whether they’re texting, browsingFacebook or playing a game." "I personally give up on either the walking or texting partafter the first pedestrian-on-pedestrian collision, but SidewalkBuddy may finally be the solution we've all been lookingfor." "So now you can send all your text messages and check all youremails while you’re literally on the go without knocking someoneover or even hurting yourself. Just make sure you bring your buddywith you. If you are that person or know someone who walks aroundrecklessly, make sure you tell them about this app"
NOTE: Some apps that utilize camera or video playback featuresof your phone may cause crashes to this app. SAFETY GUIDELINES: Download at your own risk, theSOULwithin Appsis not liable for any injuries resulting from using your phone andthis app. 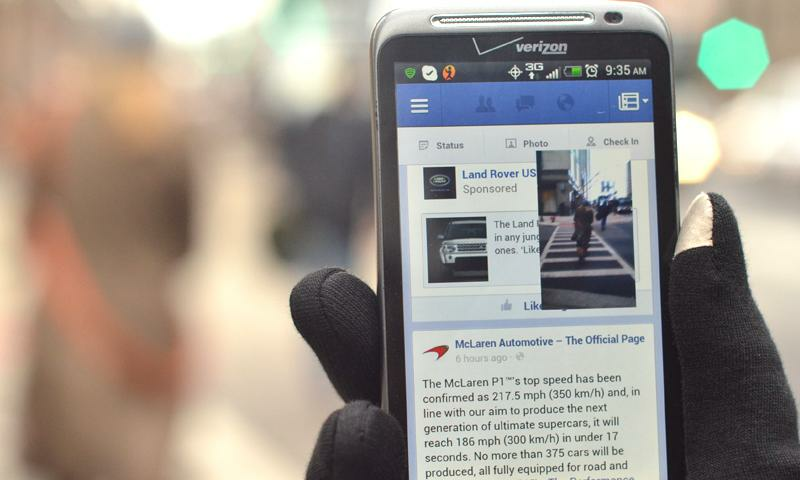 Please do use your phone responsibly while in public,there is no substitute for simply stopping to use your phone if youare outside around people and traffic. And definitely do not everuse your phone while driving! Come on now, you know better! Thisapp is for entertainment purposes only. 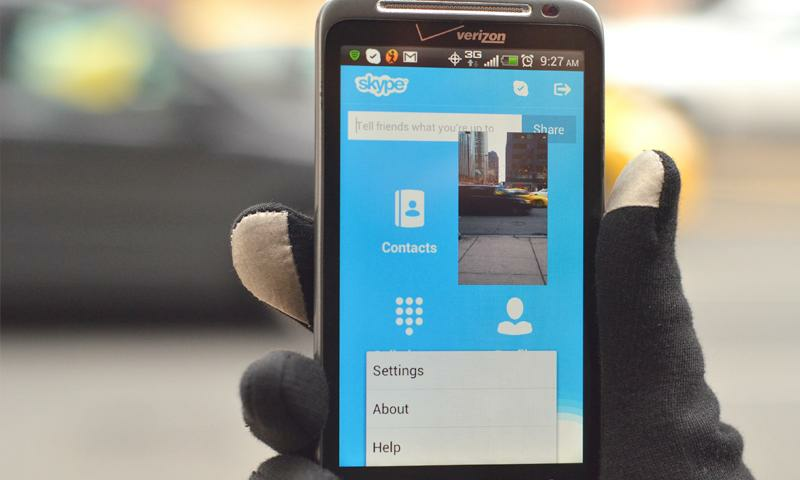 This app is a free app to help text and walk safely. Paidfeatures include a stealth video record on the window that can beused as a secret video recorder or the photo feature can be used asa spy camera app to get photos of things along your way. Please email us at: [email protected]if you have any issues or concerns and we will be happy tohelp! 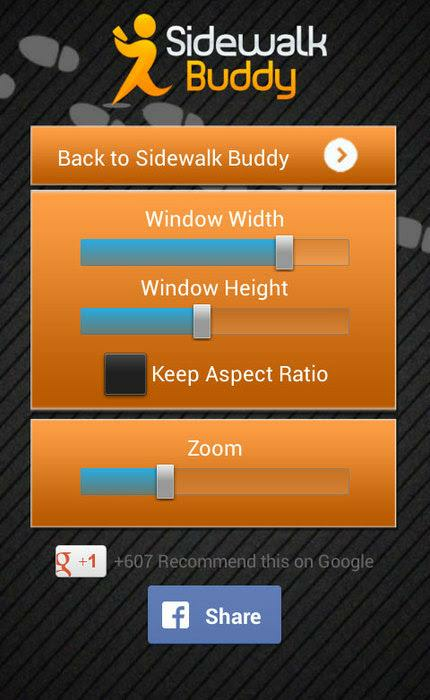 Sidewalk Buddy is a free app that will allowyou to safely use your other apps with a clean and resizable pop-upwhich shows a live video feed from your rear facing camera as youwalk and type. Texting and walking safety issues are gone! Navigatebusy streets with ease, get more work done and be able tomulti-task with safety in mind. Unlike transparent screen basedapps, this app provides a clean separation between the video andthe app you are using without getting too busy. This app is forentertainment purposes only.VIDEO AND PHOTO RECORDING ARE AVAILABLE WITH IN-APP PURCHASEONLY.FREE Features:-walk and text, surf the web, use social media apps such asFacebook, chat, sms and download apps while on the go-resizable pop-up video window that allows you to customize yourscreen preference while you walk and type-double-click the notification bar to go to settings-widget availablePAID Features-Take photos or video directly from the popup window (with in-apppurchase)Press and App Reviews:"It handles the problem better than similar apps that overlay videofeeds in a full-screen transparency layer. "-Tested.com"Sidewalk Buddy is a new app that tries to make the world saferfor distracted pedestrians, whether they’re texting, browsingFacebook or playing a game. "-Laptopmag.com"I personally give up on either the walking or texting partafter the first pedestrian-on-pedestrian collision, but SidewalkBuddy may finally be the solution we've all been lookingfor. "-Androidpolice.com"So now you can send all your text messages and check all youremails while you’re literally on the go without knocking someoneover or even hurting yourself. Just make sure you bring your buddywith you. If you are that person or know someone who walks aroundrecklessly, make sure you tell them about this app"-Phonewbie.comNOTE: Some apps that utilize camera or video playback featuresof your phone may cause crashes to this app.SAFETY GUIDELINES: Download at your own risk, theSOULwithin Appsis not liable for any injuries resulting from using your phone andthis app. Please do use your phone responsibly while in public,there is no substitute for simply stopping to use your phone if youare outside around people and traffic. And definitely do not everuse your phone while driving! Come on now, you know better! Thisapp is for entertainment purposes only.This app is a free app to help text and walk safely. Paidfeatures include a stealth video record on the window that can beused as a secret video recorder or the photo feature can be used asa spy camera app to get photos of things along your way.Website:http://www.sidewalkbuddy.com/Please email us at: [email protected] you have any issues or concerns and we will be happy tohelp! This game is easy to play, but hard to master!Flappy Warriors is a super addictive and fun game for all ages. Tryto keep the bird up while getting great items! Don`t get angry ifyou hit the pipes! With high-quality graphics, collect coins, getamazing power-ups and try to master this hard but fun game!Download Bird Club today and start the fun with this beautifulflappy fun game! Your friends are going to be jealous of this game!Whisper right now to your best friends about it and don't keep asecret!Features:- 3 different characters to unlock! The amazing king bird, thefunny bat and the cute floppy dragon!- Touch to flap and fly.- Beautiful HD graphics!- Incredible Power Ups and Great Items.- Pause/Resume your game- Enable/Disable music or sound effects- Redeem amazing coupons for getting free coins- Share your score with our leaderboard- This app has in-app purchases. You can get more coins bypurchasing them. 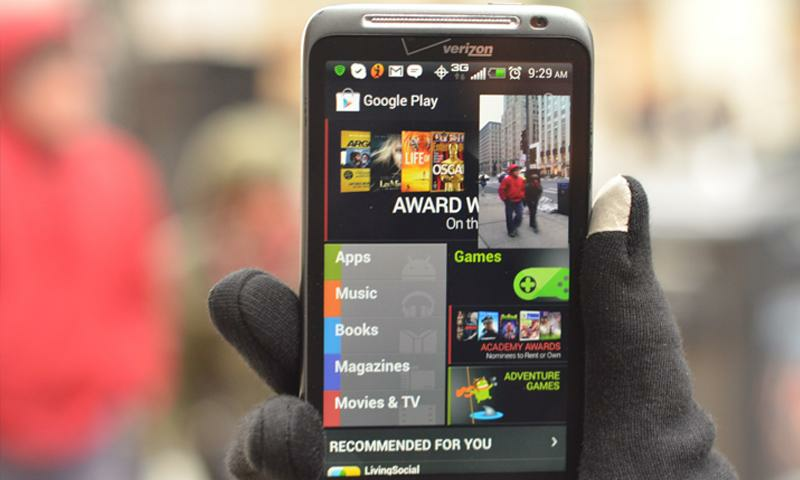 All in-app purchases remove ads. [How to Play]- Tap the screen to flap and race your birdie.- Get power-ups to increase your lives, make your gameplay betterand reach more pipes!- Collect coins to upgrade your animals!More than 10 amazing achievements to unlock!